Our range of original Candlestick Telephones have been restored to full working order, and represent excellent value for money. These original metal bodied phones from the late 1920s-1930s belong to 100 Series of British telephones, preceding the 200 and 300 Series phones. 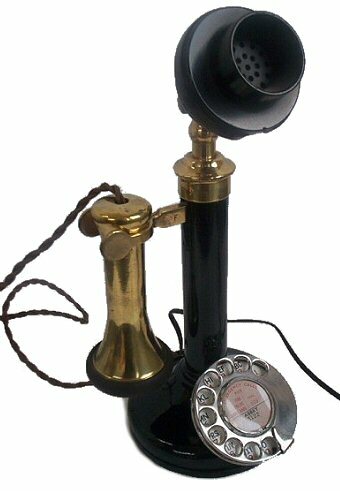 These were the first widely-used telephones with a dial. 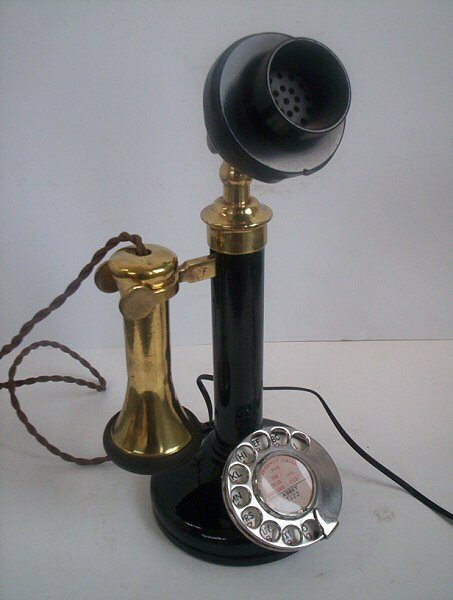 What distinguishes our range of candlestick telephones is their good condition prior to restoration, and the care we take in producing an attractive museum piece that can be used every day for making calls. These phones will work in virtually every country and, in many cases - if you let us know beforehand - we can make sure the telephone is delivered with the correct plug for your telephone network. All telephones have a 12 month guarantee.